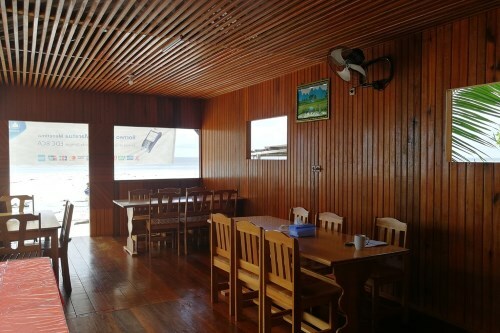 Borneo Cottage Maratua dive resort is located in Harapan Bay, Maratua, close to the Bajau village of Teluk Harapan and only 3 hours by boat from Berau, eastern Indonesia. Visitors arrive across beautiful blue seas and are greeted at the atmospheric Teluk Harapan Jetty, close to the resort. 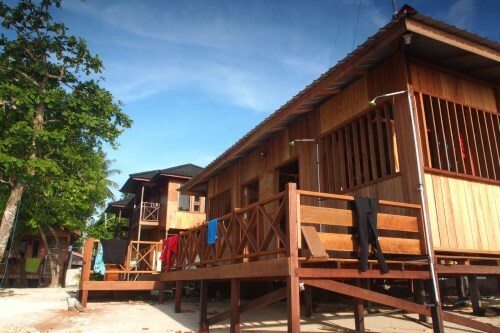 The resort includes a kitchen and dining area, a dive centre, and several options for housing guests during their stay. The modern resort is set within a beautiful island environment, with 384 square kilometres of white sand beaches encircling a large and exceptionally biologically diverse lagoon. The island is surrounded by cliffs and coral reefs, and the beach has been a popular leisure destination for locals for many years. 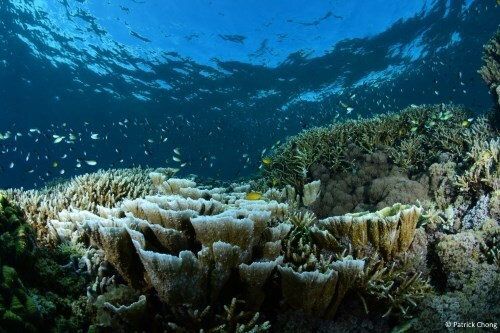 Of the 1,000 plus islands of Indonesia, it has long been considered one of the most spectacular. 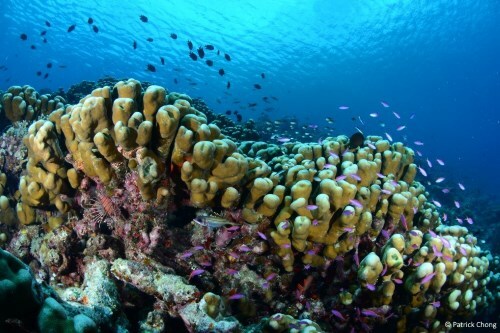 Though surprisingly accessible, Maratua Island feels remote and special. 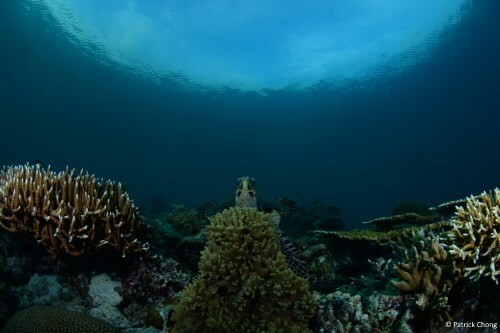 The island is very biodiverse due to its position within the coral triangle, which means an excellent diving experience is almost guaranteed. Surrounding a beautiful lagoon, the land is richly forested and the beaches are soft white sand. 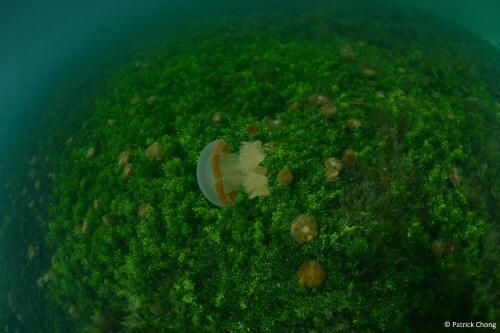 On top of this, there are calm sea lakes and jungle caves to explore. The people of Maratua are also something special. The island is known for its hospitality, even within friendly Indonesia, so guests are guaranteed a warm welcome. 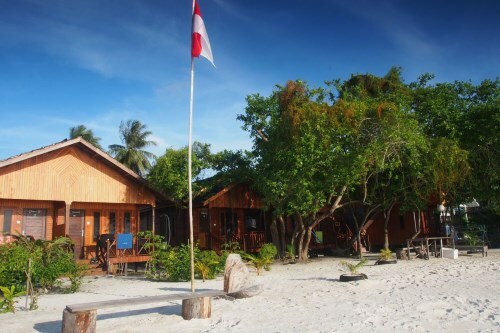 This resort works closely with the community in Maratua to provide a unique experience for guests in keeping with the customs of the area, from lodging to meals to land and sea exploration, as well as providing employment to islanders. Meals are served in a beachfront dining area that can comfortably accommodate up to 12 guests at any one time. 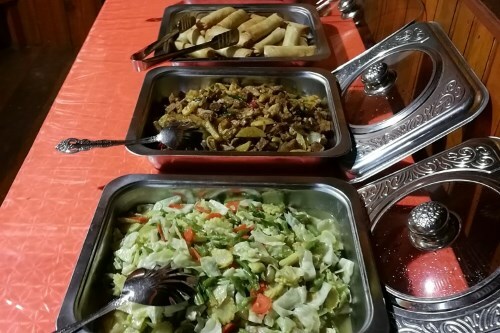 All food is locally sourced from the island and Berau town, and the traditional Indonesian fayre is prepared on site. The resort had cultivated excellent relationships with local fisherman, so fresh seafood is, of course, heavily featured on the menu at Borneo Cottage Maratua, but there is also an abundance of local vegetables and ethically sourced meat to be enjoyed. 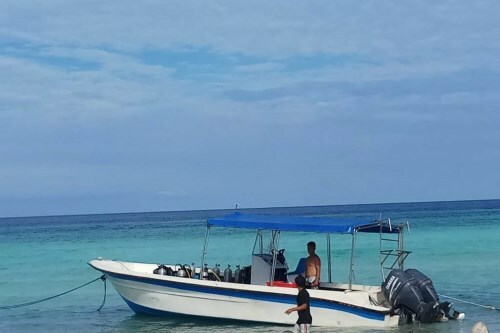 The resort contains its very own dive centre, along with an 8-person dive boat. 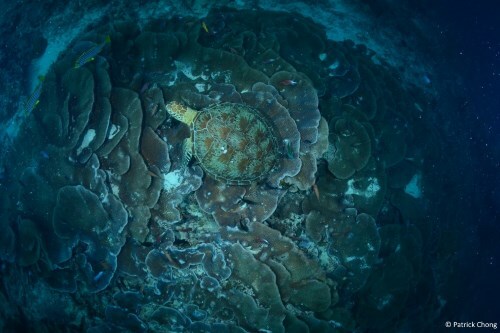 The centre is equipped with everything guests could need for days or weeks of diving in the richly varied marine habitat that surrounds the island. The dive centre is equipped with tanks that can fit DIN and Yoke regulators, and tanks are filled with a Bauer compressor. The centre’s accommodating staff is happy to help with all your diving needs. 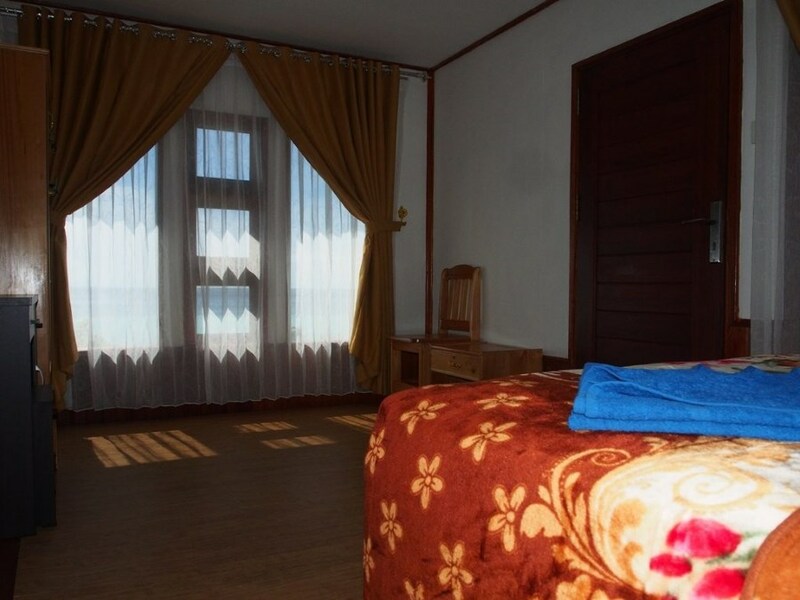 The cosy resort has four options for lodging, and can house groups on a variety of budgets. 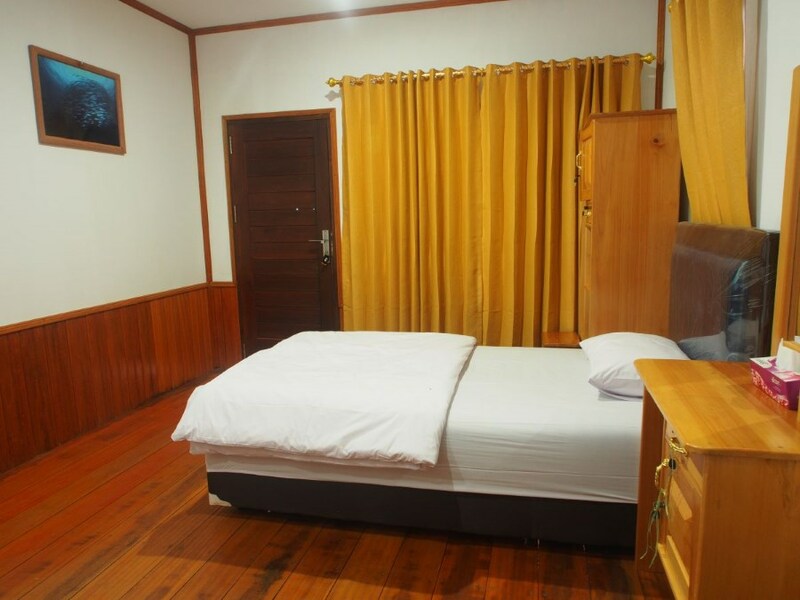 All accommodation is onsite, close to the beach and surrounded by lush forest. 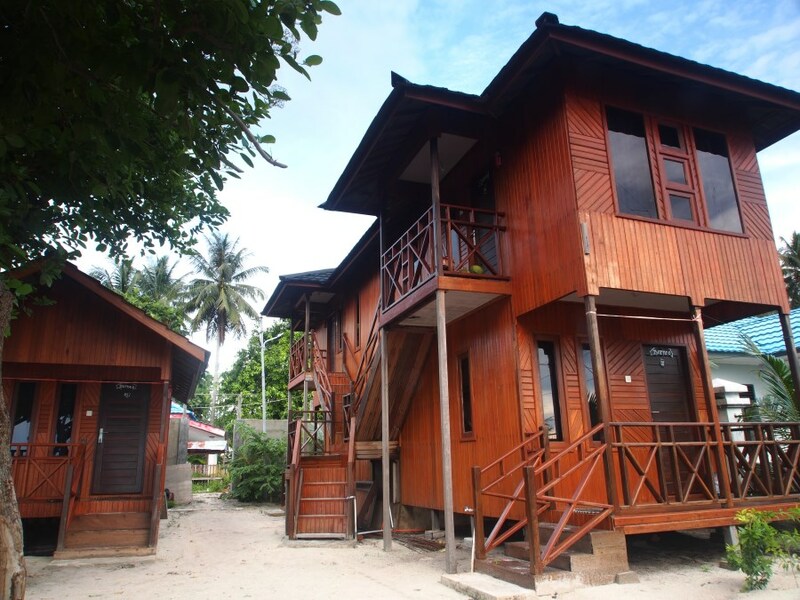 As with all buildings within Borneo Cottage Maratua, the housing is constructed in keeping with local traditional design. The quad complex is made up of four rooms of two accommodation types. The most basic category accommodation type is the garden facing room. 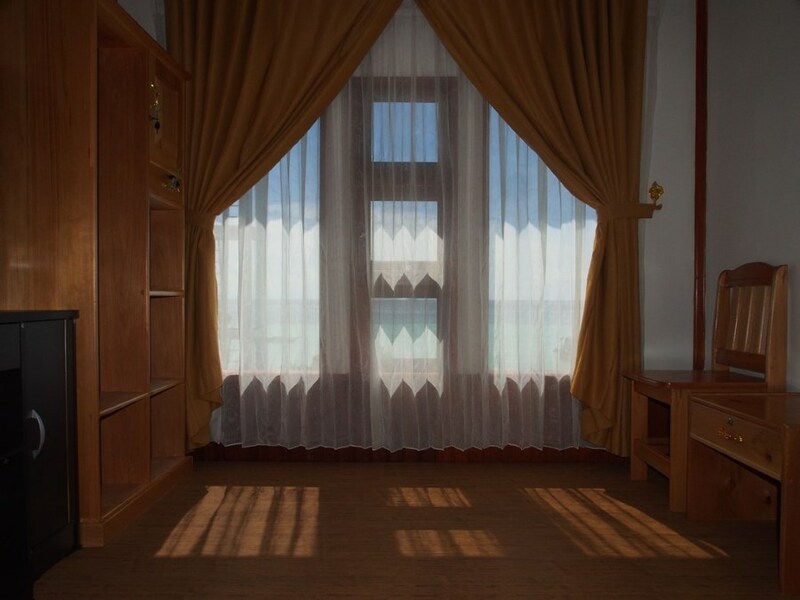 The next category is the beach facing room, with large windows which allows guests to rise to the sight of azure waters every morning and fall asleep to the sound of lapping waves after an exciting day of diving and exploration! Premium accommodation is provided in the form of chalets, with a choice of two semi-detached chalet and two standalone chalet units. Chalets offer slightly more privacy and space than individual rooms, whether semi-detached or standalone. 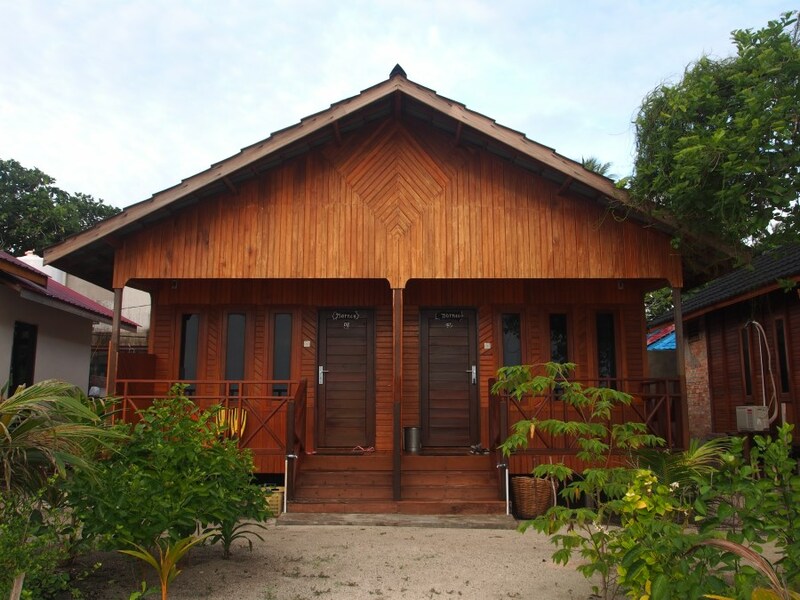 The chalets have terraces for relaxing after a day in the water or the jungle, or for sipping coffee on in the morning. The resort’s private beach is just steps away from the chalets, making relaxation easy. 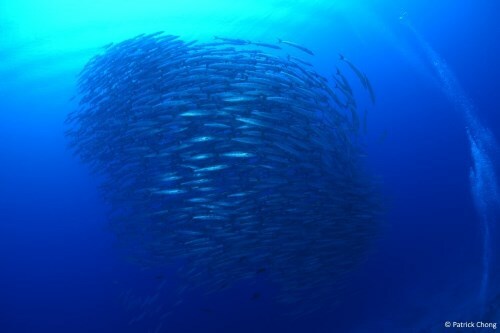 And guests are encouraged to keep an eye out for seabirds and spinner dolphins, which regularly put on a spectacular display at sea. 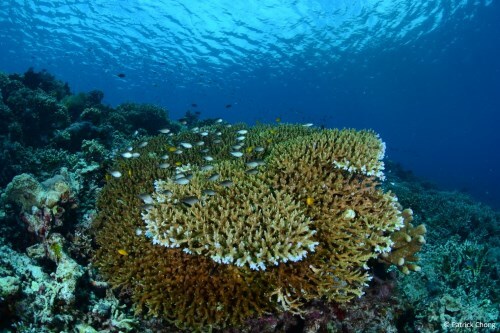 This resort brings divers to Kakaban Island, Maratua Island, and Sangalaki Island. 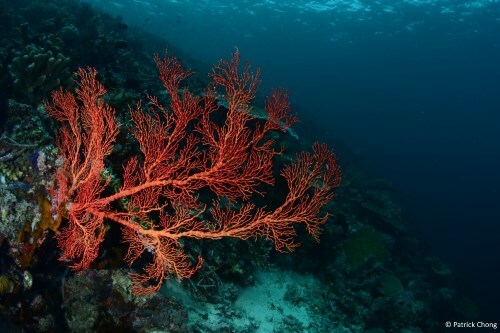 From $400 per diver twin share for 6 days 5 nights. 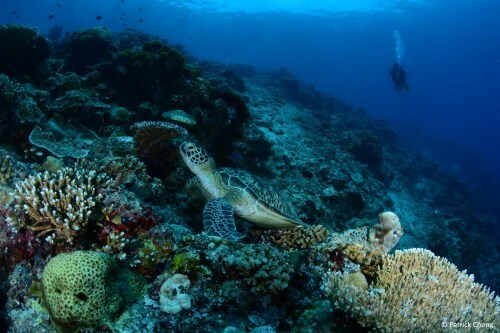 From $250 per non-diver twin share for 6 days 5 nights. 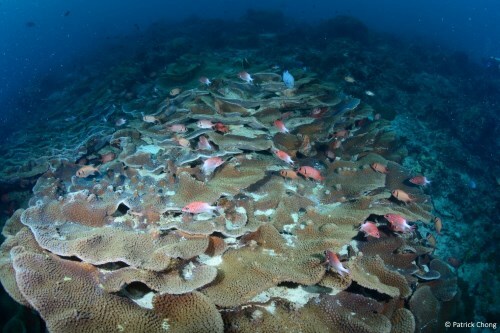 From $500 per diver twin share for 6 days 5 nights. 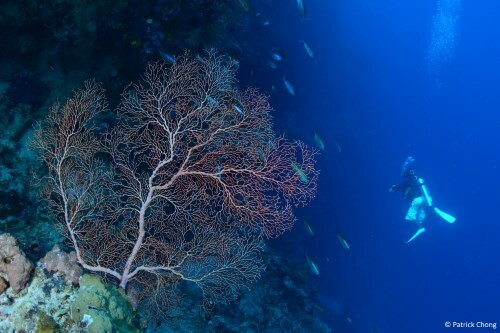 From $350 per non-diver twin share for 6 days 5 nights. 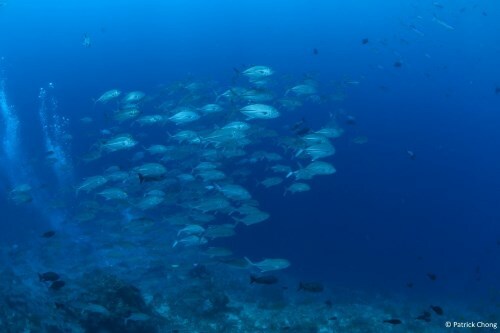 From $650 per diver twin share for 6 days 5 nights. 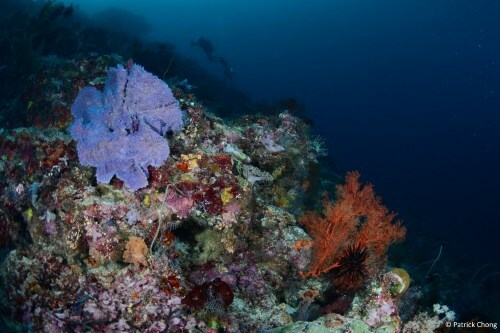 From $500 per non-diver twin share for 6 days 5 nights.